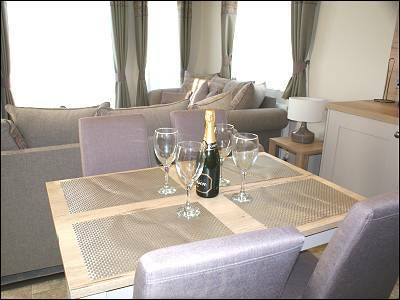 Hengell 49 Luxury caravan, Quay West. 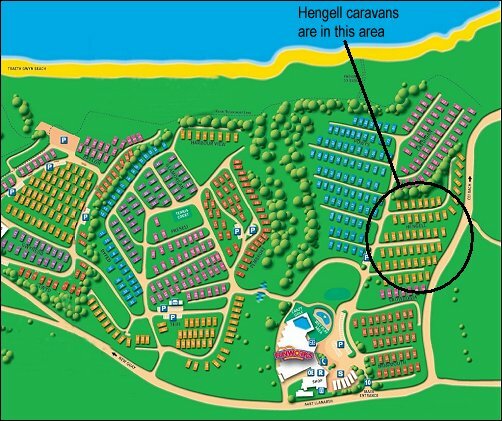 Hengell 49 is a brand new 2018 top of the range ABI Ambleside 3 bedroom caravan, 40' x 14' and with double glazing and central heating and a large wrap around new white UPVC deck with views of Cardigan Bay and north to the mountains of Snowdonia. 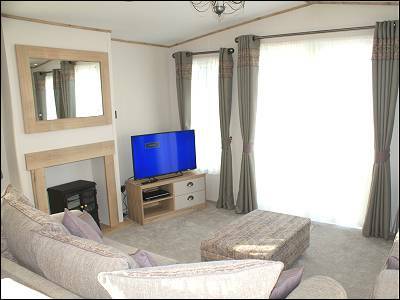 There is a spacious open plan sitting area with freestanding sofas, and a 40" flat screen TV. Large French doors open onto the deck. 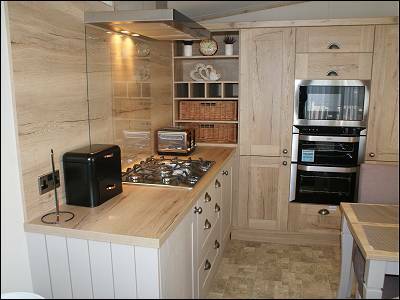 The spacious kitchen has a full size built in oven with separate grill, 5-burner gas hob, built in microwave, kettle and toaster, built in wine rack, dining table and chairs, as well as ample crockery, glasses, cutlery and cookware. There is a large integrated fridge with 3-drawer freezer below, and an integrated washing machine and dishwasher. There are three bedrooms. 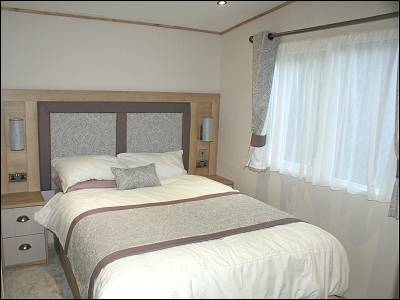 The large master bedroom has a double bed and wall mounted flat screen TV and en suite WC and basin, The second bedroom has 2' 6" twin beds. 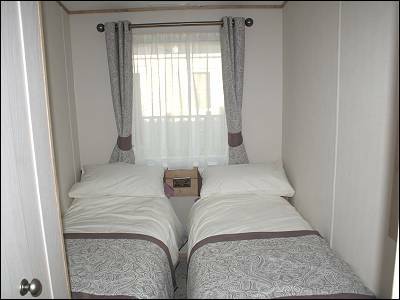 The third bedroom has full size 3' twin beds. 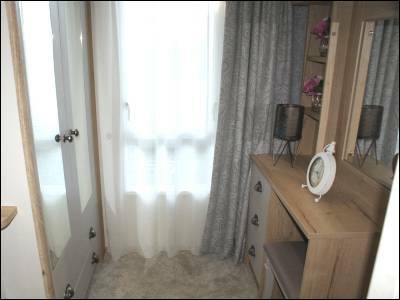 There is also a family shower room with large walk in glazed shower, WC and basin. All rooms have USB sockets for phone charging etc. 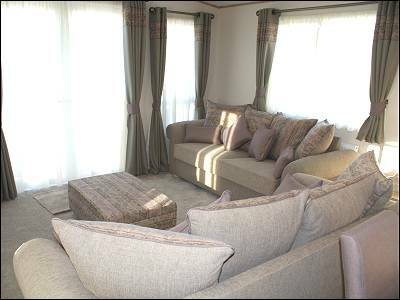 The living room has a sofa bed for occasional extra use. A travel cot and high chair are provided. The wraparound new UPVC deck has outside furniture and is fully enclosed with a gate. 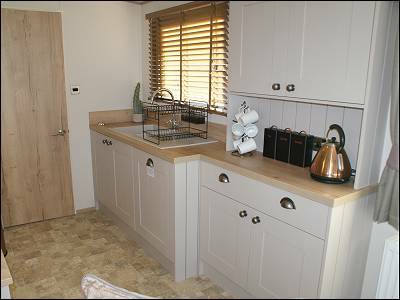 This caravan has full central heating with radiators throughout, also a log burner style electric fire in the sitting room area. 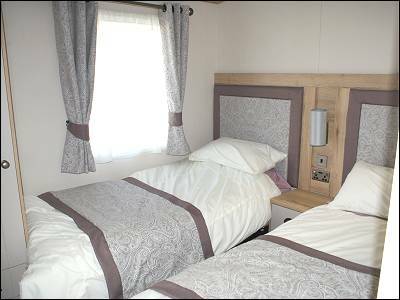 Pillows and double and single duvets are provided but guests must bring their own sheets, duvet/pillow covers and towels/tea towels. 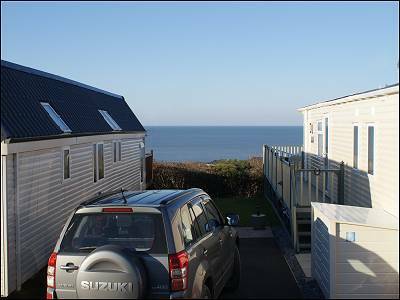 Outside – Parking space beside the caravan for one car plus overflow parking nearby.. 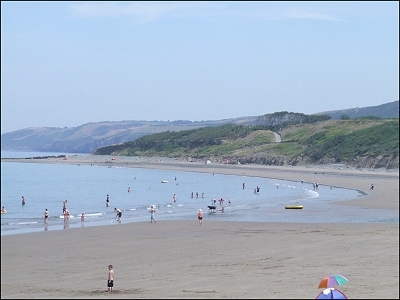 The caravan is close to the coastal path, leading into New Quay . PLEASE NOTE: Strictly no smoking inside the caravan. 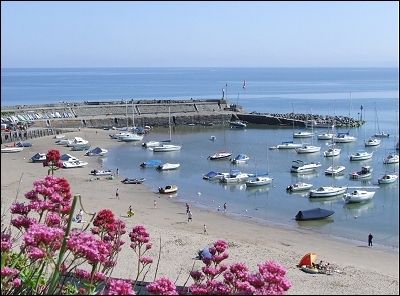 Prices inclusive of all electricity, heating etc. Entertainment / activity passes can be purchased from the park office after arrival.